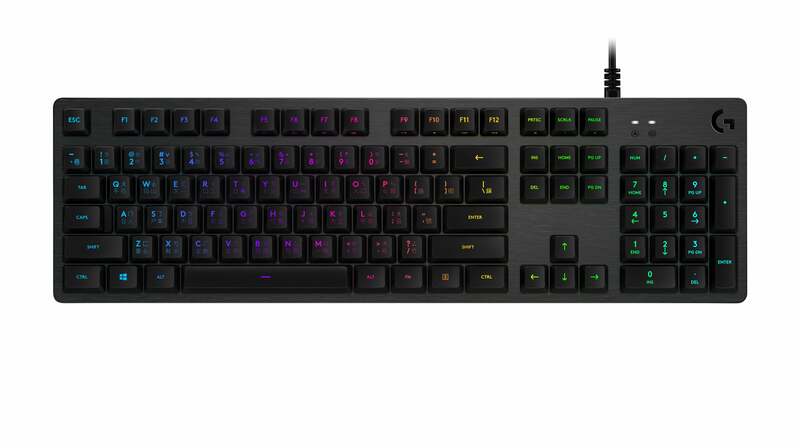 Logitech expands its high-performance gaming gear with the addition of the G512 mechanical gaming keyboard. The keyboard offers three different key switch choices -Tactile, Linear, and the new GX Blue- to fit your personal player preferences. The Tactile key switch provides discernible actuation for gamers who prefer direct feedback, while the Linear version delivers a smooth keystroke. The new GX Blue key switch provides audible 'click' feedback during actuation that you can feel and hear. Logitech G512 Keyboard. Image credit: Logitech. The Logitech G512 is powered with four lighting zones using the free Logitech Gaming Software (LGS), which can be customized across approximately 16.8 million colors. With its slim, durable design, the keyboard is sturdy on-the-go. It has an anodized and brushed aircraft-grade 5052 aluminum top case, with an integrated USB cable connecting the USB 2.0 passthrough port to its own input for 100% power throughout. The mechanical gaming keyboard is available in Carbon Black, and it’s the gear you want to get your game on.